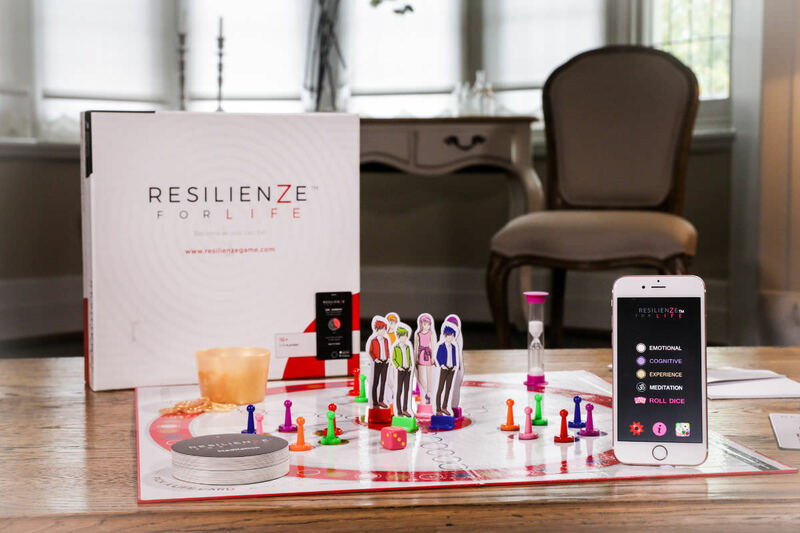 For the first time ever, RESILIENZE FOR LIFE is a purpose-built, interactive board game, based on current resilience research. RESILIENZE FOR LIFE is a fun-filled game with Life Cards and an intuitive App where you collect Gold Rings. RESILIENZE FOR LIFE is an educational game with a difference, packed with skills, strategies and challenges that could have a massive effect on how you manage and enjoy your life. RESILIENZE FOR LIFE is a game that will teach you all the aspects to having real RESILIENCE in your life. The RESILIENZE FOR LIFE game gives you the ability to create a new way of being in control of your life, through your responses to everyday situations. A complete change in your enjoyment of life awaits you, if you have the courage to take on the challenge of getting RESILIENZE FOR LIFE.